In 2-quart saucepan, heat water, cinnamon and cardamom to boiling over high heat, stirring occasionally. Remove from heat; add tea bags. Let stand 5 minutes. Strain tea; discard spices and tea bags. Return tea mixture to saucepan; stir in soymilk. Heat over medium heat, stirring occasionally, until hot. Sweeten to taste with honey. Pour into 4 mugs. Serve immediately. 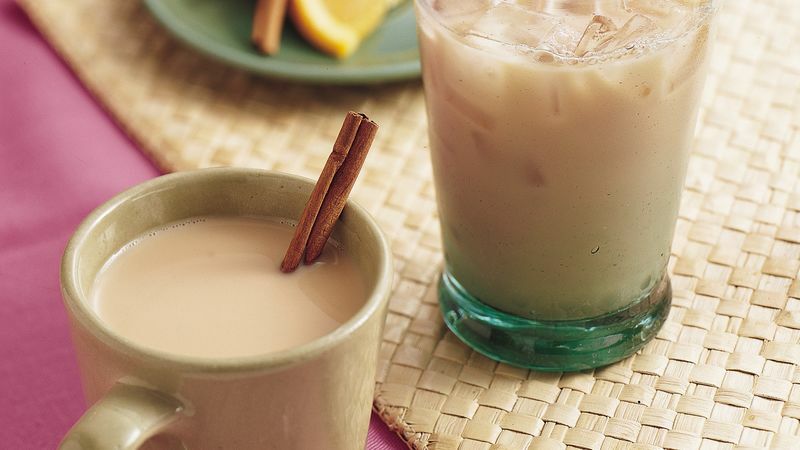 To make Iced Vanilla Chai, refrigerate until cold and serve over ice.